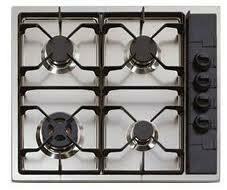 Looking for a stove repair specialist in Old Bridge, New Jersey can be really daunting. So, don’t waste your time and call our company.Hiring us is the right choice for any of your appliance repair, replacement or maintenance needs. We realize how much stress a faulty unit can cause and work hard to keep your cooking appliances in top shape all the time. Contact us today and schedule the service with our qualified stove repair Old Bridge technicians! When a stove stops operating all of a sudden, it’s crucial to get in touch with the technicians at Appliance Repair Old Bridge as soon as possible.Our company has an impressive track record of hundreds of satisfied customers across the area. Backed with years of hands-on experience, we will resolve your concerns in the most efficient manner. From damaged doors, broken heating elements, faulty wiring to defective knobs and switches, we can fix anything!Our team is familiar with all major brands of cooking appliances and can complete most of the tasks in a single stop. With the help of proper equipment and genuine spare parts,we will make your stove run the way it should.So, if you need a quality stove service, you know where to turn to. You will be pleased that you opted to go with us. Not only doe sour company offer quality repair but stove installation service as well. Our technicians have the expertise to install your appliance in no time and make sure it operates at itsbest. We can guarantee that after our services,you won’t encounter any problems related to improper installation. Whenever you need your oven, range or stove serviced, give us a call and our skilled Old Bridge stove repair experts will set things straight!